Guru Purnima is a celebration of wisdom. We take time to remember the gifts of insight we have received this year. 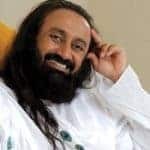 It is also a time to immerse ourselves in wisdom once more through retreats guided in the presence of Sri Sri Ravi Shankar. An Incredible Experience of Renewed Health and Energy. A Day to Celebrate the Fullness Within! Airport shuttles are available between Charlotte Airport and Boone. Please arrive at the Charlotte Airport at least one hour before your shuttle departure from CLT to Boone. Pick up will be from Charlotte Airport baggage claim area D.
Please take into account the transit time of 2.5 hours between CLT and Boone while you make your flight reservations. Shuttle reservations are non-refundable and non-transferable for another time. Parking at the Retreat Center is available but is very limited. Carpooling is strongly encouraged, and parking preference at the Center will be given to course participants with 3 or more people per car. Only cars that have a parking permit will be allowed to park on Center premises. Visit our Forums Page (coming soon) to find carpool buddies. Security personnel, stationed at the Center entrance, will hand you the parking permits upon arrival at the Center. Cars without permits or not parked in designated spots may be towed at operator’s expense. We invite you to join us for July 14th Guru Poornima celebrations and Satsang. You may enjoy meals at the Art of living Retreat Center by purchasing meal coupons for $10/meal/person. Currently accommodation is reserved for registered course participants. We will update this page by early July if visitor accommodation is available on campus. We recommend you make alternate arrangements in nearby hotels or via airbnb. Visitors with children under the age of 14yrs, will be guided to Veda 3 where live webcast will be telecasted during the evening satsang. Children below the age of 17 yrs are minors according to the Boone, NC county law. For the safety of your child we request one of the family members be with their children at all times including during the evening satsang. For information about courses and events with Sri Sri, please call 1-828-513-0032. 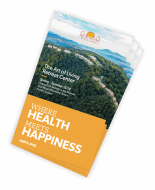 Address: Art of Living Retreat Center, 639 Whispering Hills Rd, Boone NC 28607.